Bring in a wisp of grace and freshness to your dressing style with this amazing sky blue colored faux georgette palazzo suit. This brilliant semi-stitched outfit creates a dramatic canvas with remarkable embroidery. 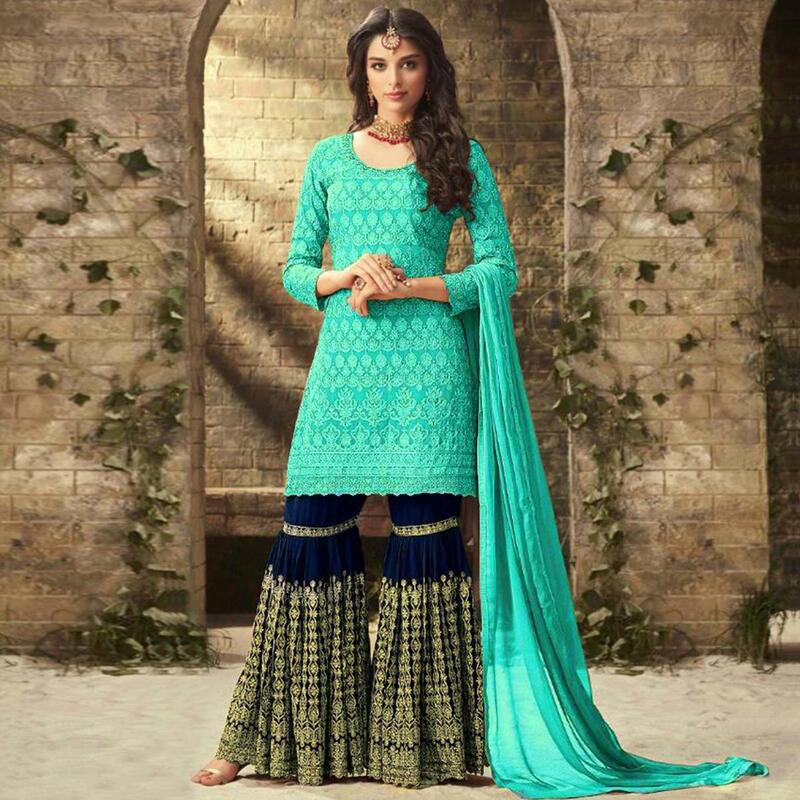 This semi-stitched outfit is attached with embroidered faux georgette palazzo bottom, santoon inner with chiffon lace border dupatta which makes this attire desirable. Women can buy this suit to wear for their upcoming functions and occasions, wedding. Grab this suit now as it's easy to maintain and comfortable to wear all day long. Team it with stylish accessories to make your looks more beautiful. Note:- The actual product may differ slightly in color and design from the one illustrated in the images.